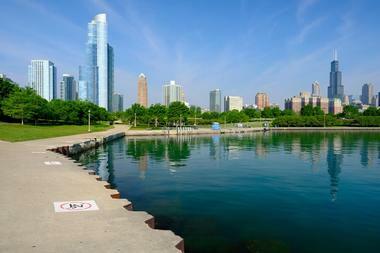 On the shores of beautiful Lake Michigan, Chicago is the star of the Midwest. Starting out as a meager trading post at the mouth of the Chicago River and growing through the decades to become one of the largest cities in the United States, and now an international trading center. 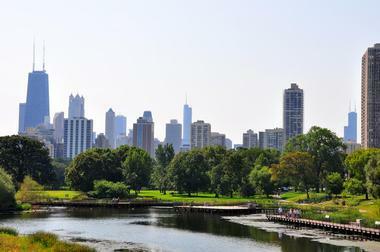 Nicknamed the “Windy City”, Chicago was crucial to the growth of the United States. Located about 300 miles southwest, St. Louis, perched on the edge of the Mississippi River, also has its beginnings in early trading. It too has been a key city in the migration west. 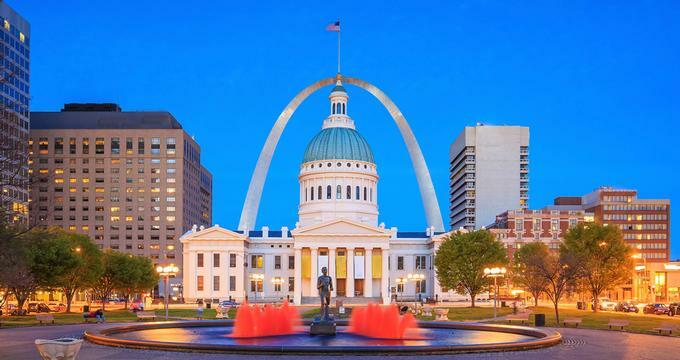 With its stunning arch, St. Louis is known as the “Gateway to the West”. These cosmopolitan cities are filled with both history and progress toward the future. Each thriving in their own rights yet linked together by history as being instrumental in helping further the exploration and passage to the West. Both cities have a lot to offer the business or pleasure traveler; hubs for business, attractions for vacationers, stunning water views, and much more - these cities are worth the trip. There are many ways to get between the two cities; the fast track by plane or a scenic drive, and everything in between. How far is St. Louis from Chicago? The distance between Chicago to St. Louis is 300 miles. Chicago’s O’Hare International Airport (ORD) is a central hub for many mainstream airlines. The non-stop flight to Lambert-St. Louis International Airport (STL) is just one hour. Fares for the trip start at $297 on Continental Airlines and jump up to about $320 for other airlines. Air Choice One airlines offers a cheaper flight starting at $204. This flight has one stop in Decatur, Iowa and is about 3 hours. So depending on your wallet and your time, there are a few options from which to choose. O'Hare International Airport offers several levels of parking from valet service to economy parking. The hourly parking lots have a fee schedule that goes up to $60 for 24 hours during the week and $59 on Saturday and Sunday. However, if one chooses one of the daily lots you can park starting at $34/day. The economy lots have the best pricing starting at $17/day. There is free shuttle service between the various parking lots and the airport terminal. Another alternative is the Chicago Midway International Airport. This airport is serviced by Delta Airlines, North Country Sky, Porter Airlines, Southwest Airlines, and Volaris Airlines. Delta Airlines offers flights to St. Louis starting at $273. This flight has one stop in Detroit (DTW) and it takes 3½ hours. Once you arrive in St. Louis make sure to take time to tour the airport. The airport offers several boutiques and shops along with a variety of restaurants from fast food to sit down establishments. There also a few bar/lounge places where one can sip a glass of wine while waiting for a flight or relax having just arrived on a flight. Amtrak is a wonderful way to see the country. Riding the train offers the benefits of a road trip but leave the stress to the train staff so you can relax. The train offers more leg room, space to roam, café cars, large panoramic windows and so much more. There are five trains that go between Chicago and St. Louis daily. The Lincoln Service has trains departing at 7 a.m., 9:25 a.m., 5:15 p.m. and 7:00 p.m. The one-way trip takes about 5½ hours. Fares start at $27 for a value coach seat and go up to $70 for a flexible coach seat. The Lincoln Service has a snack car that offers service of light meals and snacks. This car has seating for your convenience. The other train, Texas Express, departs at 1:45 p.m. Fares on this train start at $39 for a value coach seat. Also available are three choices of sleeping compartments. The Superliner Roomette has room for two people to sleep on bunks. Meals are included with the fare that starts at $212. The next level is the Superliner Bedroom. This compartment is best for two but will accommodate three. The bedroom also features an en suite bathroom, including shower. The fare for this car starts at $344. The Superliner Family Bedroom is perfect for a family of four, featuring four bunk beds. Meals are included with this fare which starts at $291. Greyhound Bus offers several options a day for getting to St. Louis. One-way tickets start at $19. The amenities which Greyhound now offers are better than ever before: roomy, reclining seats, free Wi-Fi, bath room; wheelchair accessible; and plenty of storage. 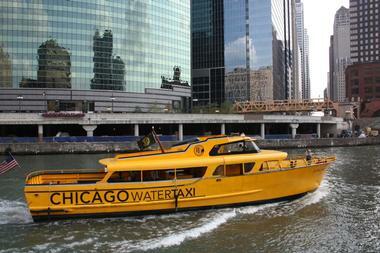 Stretch Limousine, Inc. has service between Chicago and St. Louis. They offer many different fares depending on your needs. For example, a 4-door sedan for two people starts at $495. Their service goes up by car type. So a stretch limo for 6 people is $655. They have many different makes and models of cars and vans in between these two options. 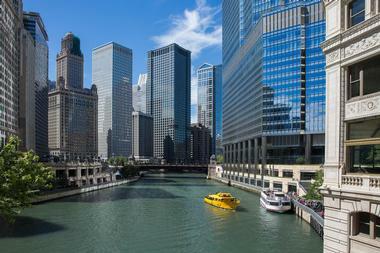 Before leaving Chicago, make sure you stop and see some of the fabulous attractions this city has to offer. There is literally something for everyone. The most direct route to drive to St. Louis would be taking I-55, just about 300 miles. Or, one could take the iconic Route 66, which is about 350 miles. Depending on one’s time, the more historic route may be the most fun. You can connect to I-55 by several main artery highways in Chicago. Google Maps shows very well exactly where you are and where you want to be. I-355, I-294 and I-80 all intersect with I-55; so depending on your starting point would determine what highway to take. Once on I-55 head southwest toward St. Louis. About one hour from Chicago, just as you are crossing the Illinois River the Midewin National Tall Grass Prairie is on the east side of the highway. The park features long distance trails as well as a nice visitor’s center; a great place to stop and stretch your legs. The next stop is The International Walldog Mural & Sign Art Museum. This museum features murals and other large wall art. This stop is also on the historic Route 66. Bloomington, Illinois is coming up. Of note in Bloomington is the Miller Park Zoo and Miniature Golf Course; a lot of family fun at this spot. The small town of Lincoln is home to Edward Madigan State Park offering fishing, boating, picnicking, hiking and wildlife watching. Springfield is home to several attractions: Washington Park Botanical Garden, Henson Robinson Zoo, and Margery Adams Wildlife Sanctuary. Springfield might have just the thing you are looking for, so it is worth a stop and look around. If you are looking for a scrumptious place to eat, you will find one in St. Louis. With over 4,000 restaurants, there must be something to satisfy all the discerning palates. From Mexican and Swedish; Chinese and Thai, there must be something that will please you. From the extravagance of a luxury hotel to modest means of an economy hotel, St. Louis has it all. Stay downtown near some of the hottest attractions or move out to the suburbs for a more laid back experience. The Ride Illinois website details a bike route from Chicago to St. Louis following along the historic Route 66. Google Maps offers a turn by turn account for bike riding from Chicago to St. Louis. This route also follows the legendary Route 66. These biking routes would also serve as good walking routes since they are off the major highways and follow back roads that have much less traffic. Be safety conscious and plan your route before heading out. 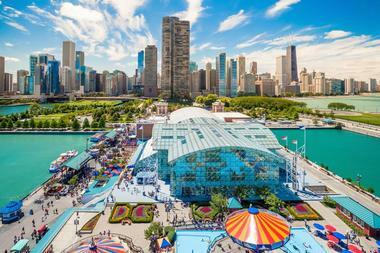 Nestled in the heartland of the United States are two great cities: Chicago and St. Louis. These cities should be on everyone’s “must see” list – there are so many iconic attractions to experience. Both cities offer the four seasons with plenty to do in the winter, spring, summer of fall. Whatever your plans, business or pleasure, don’t miss what these cities have to offer.